A new stretch of trail along the James River Greenway honors the country’s military veterans by winding near the edge of the Missouri Veterans Cemetery southwest of Springfield. The new trail is called the Trail of Honor, and it runs for one mile along the banks of the James River valley, next to the veterans cemetery. A large stone gateway greets those who enter and exit the cemetery grounds, allowing people who pass through to quietly reflect on the service of American veterans. According to the Ozarks Greenways website, the trail is the result of a partnership between the Missouri Veterans Commission, the C.W. Titus Foundation and Ozark Greenways donors. 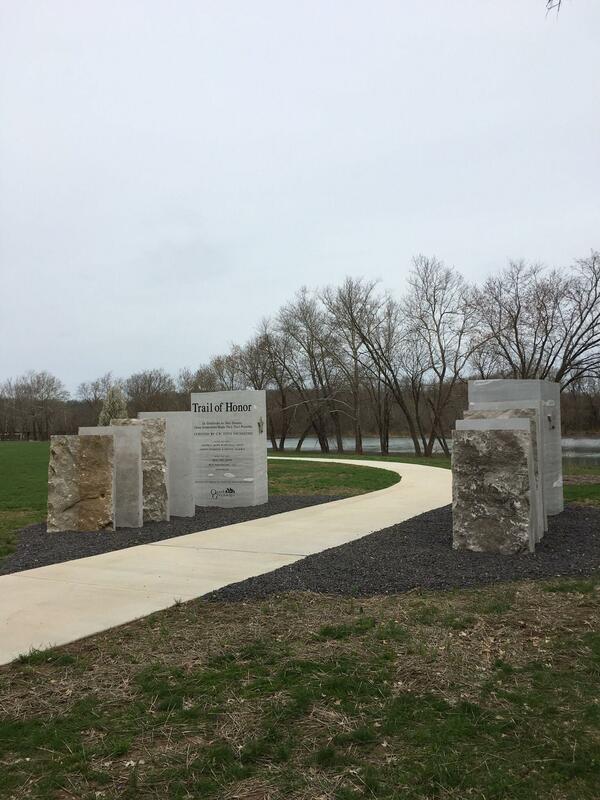 Trail of Honor is part of the James River Greenway, and you can reach the trail by going to the Southwood Boat Access at 5107 S. Southwood Road in Springfield. The trail starts off of that parking lot. James River Greenway also connects to the Galloway Creek Greenway. You can bike, run or walk through the Trail of Honor and it stays open until sunset. For more information, you can visit www.ozarkgreenways.org.